That's 20 horsepower more than the regular Mustang GT upon which it's based. When the car was revealed mid-January at the North American International Auto Show in Detroit, Ford said that it would pack “at least” 475 horsepower. 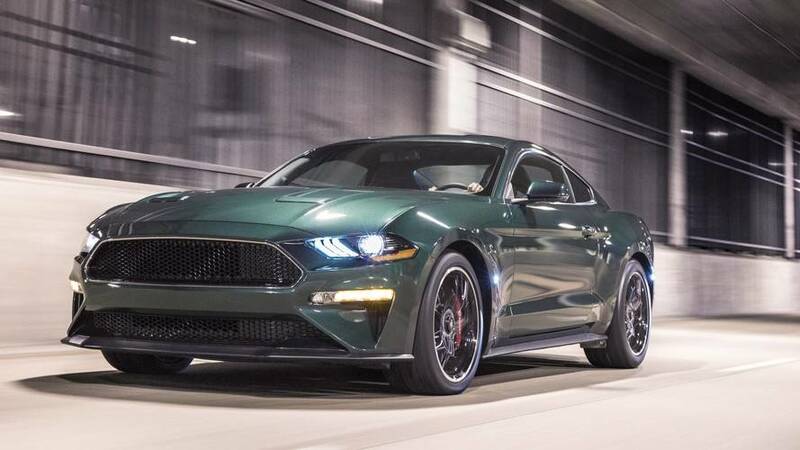 Fast forward to present day, the final output numbers are in and Ford is happy to report the 2019 Mustang Bullitt delivers 480 horsepower from its naturally aspirated 5.0-liter gasoline engine. 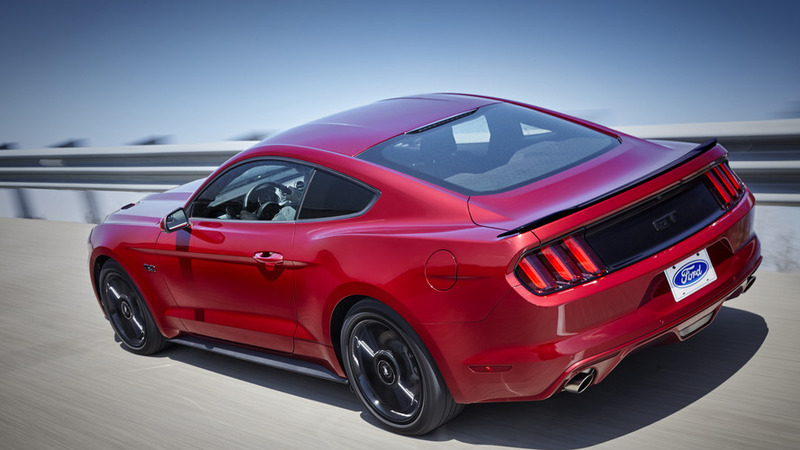 Based on the Mustang GT Premium with the Performance Package, the new special edition has an extra 20 horsepower over the regular model, while torque stays the same at 420 pound-feet (570 Newton-meters). 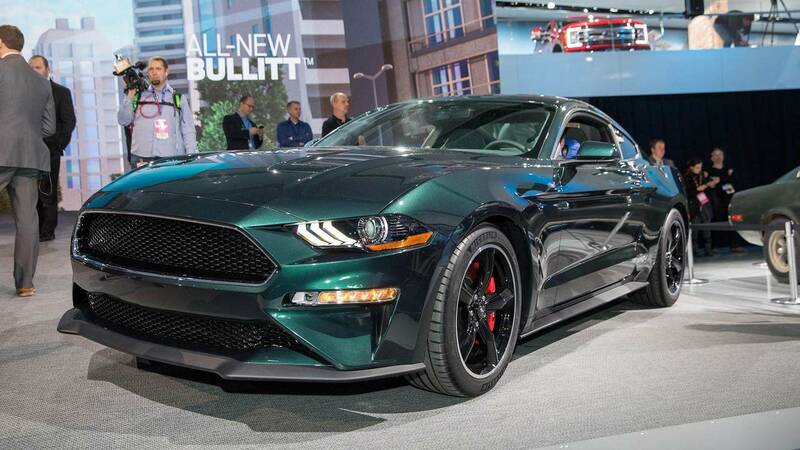 Not only does it pack more punch than the regular model upon which it’s based, but it also has a higher top speed as the Blue Oval company says the Bullitt will max out at an impressive 163 mph (262 kph) or 8 mph (13 kph) more than the 2019 Mustang GT. Ford also confirmed today how much you'll pay for your Bullitt: $46,595, before the $900 destination and delivery charge. That sounds like a lot, but don't forget that it's easy to option a standard Mustang up into the $50K realm. If you’re living in Europe and are eager to buy the Mustang Bullitt, prepare to be disappointed as the Euro-spec version seen earlier this month at the Geneva Motor Show won’t be able to match the output numbers of its North American cousin. Indeed, the version sold on the old continent has to make do with 457 hp and 390 lb-ft (529 Nm), which isn’t necessarily low, but nevertheless it’s a significant decrease compared to the U.S.-spec model. Ford is now taking orders for the limited-run Mustang, but it’s already too late to buy the very first car as that one was auctioned for a good cause at the beginning of the year when it managed to fetch a whopping $300,000. Pricing details are still not available, but surely the retro-flavored pony car will set you back more than the $39,190 Ford is asking for the Mustang GT Premium Fastback. After all, it does come with a special finish and hardware upgrades such as the Shelby GT350’s intake manifold, a performance open air intake, a bespoke powertrain control module, and a bigger 87-mm throttle body. Ford will kick off deliveries of the 2019 Mustang Bullitt this summer. The iconic 2019 Mustang Bullitt traces its roots to the legendary Highland Green 1968 Mustang GT fastback Steve McQueen thrashed in the action thriller “Bullitt” 50 years ago. Complete with classic cue ball shifter, the 2019 Bullitt bundles the latest Mustang GT Premium and Performance Package content in a sleek, understated design – while packing a hefty punch. The new Mustang Bullitt delivers even more power, thanks to its performance open air intake, Mustang Shelby GT350 intake manifold, plus a larger 87-millimeter throttle body and unique powertrain control module calibrations delivering 480 horsepower and 420 lb.-ft. of torque* and deliver a top speed of 163 mph – an 8 mph increase versus the latest Mustang GT. A fully active black NitroPlate™ quad-tip exhaust comes standard. Bullitt customers have two color choices – Shadow Black and classic Dark Highland Green. Appointments include subtle chrome accents for the unique black grille and front windows, classic torque-thrust 19-inch aluminum wheels and red-painted Brembo™ brakes. There’s minimal badging inside and out. All that’s visible on the exterior is the circular faux gas cap Bullitt logo at the rear center. A leather-trimmed interior features unique accent stitching in green on the dashboard, door panels, center console and seats.